MANILA (Mindanao Examiner / Oct. 18, 2011) - Amnesty International Philippines condemned the killing of Italian missionary Father Fausto Tentorio and reiterated its call for the creation of a Presidential Accountability Commission to ensure diligent investigation and expedient prosecution of cases of extrajudicial killings, enforced disappearances and torture. 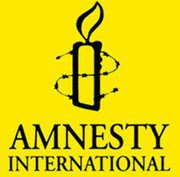 Amnesty International said that unless impunity is broken, the killings will continue. Fr. Tentorio is known to have supported indigenous peoples rights in mining affected communities in Arakan, North Cotabato for several years. "The killing of Fr. Tentorio in broad daylight shows that perpetrators of extrajudicial executions still think that they can get away with their crimes and can kill with impunity. If we want the killings to stop, our government officials must send a clear message that perpetrators of extrajudicial executions will be brought to justice. This means that in addition to condemnation of the crimes, there must be due diligence in police investigations, witnesses must be protected and the prosecutors must work with the police to ensure that justice will be served." "The judiciary must also do their part in ensuring justice to victims of summary executions. Government authorities must work harder so that cases will go to trial towards the conviction of perpetrators." said Dr. Aurora Corazon Parong, Director of Amnesty International Philippines. Parong said the local governments should double their efforts to ensure protection of its citizens from being killed after they have received death threats. Amnesty International reported that during President Aquino’s first year, dozens of cases of extrajudicial executions have been reported in the Philippines. While the organization recognized that the Aquino government has put some attention on political killings that happened since he took office, it noted that political killings that occurred during the previous administration—a vast majority of them unresolved—are not given the attention they deserve. In a report "Progress, Stagnation, Regression? The State of Human Rights in the Philippines under Aquino," Amnesty International assessed that the government failed to establish accountability over the state security forces including paramilitary groups. It also said that the administration has not made enough progress in disbanding and disarming private armies, and in ensuring justice for victims of human rights violations. "The abysmal record of failing to investigate or prosecute those responsible for unlawful killings must end now. We hope that the killers of Fr. Tentorio will be arrested and convicted. The conviction of perpetrators of summary executions will serve as deterrent to the continuation of the crimes," Parong said. Amnesty International also reiterated its call on President Aquino to rescind its plan of deploying civilian militias to augment security at private mining operations. Amnesty International said that such militias, including the Citizens’ Armed Forces Geographical Units, have a long record of human rights violations in the Philippines. According to the Commission on Human Rights of the Philippines, CAFGUs have been responsible for arbitrary detention, torture, and killings of local community leaders.